Alex B. is drinking a Saison Brett Sour by Chorlton Brewing Company at The Craft Beer Co.
Earned the Draft City (Level 55) badge! Earned the Pucker Up (Level 52) badge! Kiran P. is drinking an On the Road by Wander Beyond Brewing at The Craft Beer Co.
Earned the I Believe in IPA! (Level 22) badge! Earned the Tower of Beer (Level 52) badge! Kiran P. is drinking a Stay Puft Imperial Salted Caramel by Tiny Rebel Brewing Co at The Craft Beer Co.
Kiran P. is drinking a Hawaiian Speedway Stout by AleSmith Brewing Company at The Craft Beer Co.
Earned the Sky's the Limit badge! Earned the Hopped Up (Level 2) badge! Kiran P. is drinking a New Zealand Pale by Brewsmith Beer Ltd at The Craft Beer Co.
Kiran P. is drinking a Saison Brett Sour by Chorlton Brewing Company at The Craft Beer Co.
Kiran P. is drinking a Thousand Things IPA by Siren Craft Brew at The Craft Beer Co.
Kiran P. is drinking a Dutty by Tiny Rebel Brewing Co at The Craft Beer Co.
Earned the Draft City (Level 33) badge! Earned the Session Life (Level 6) badge! Earned the Wailing For Wales (Level 2) badge! Kiran P. is drinking an Orca by Wander Beyond Brewing at The Craft Beer Co.
Earned the Middle of the Road (Level 28) badge! Earned the Photogenic Brew (Level 39) badge! Earned the Tower of Beer (Level 51) badge! Kiran P. is drinking a Dude Looks Like a Hazy by Deviant & Dandy Brewery at The Craft Beer Co.
Kiran P. is drinking a NEIPA by Tiny Rebel Brewing Co at The Craft Beer Co.
Annemie is drinking a Strange Brew Holiday Red Ale by DaLui Brewing at The Craft Beer Co.
Alex R. is drinking a Salted Caramel Stay Puft by Tiny Rebel Brewing Co at The Craft Beer Co.
Earned the Middle of the Road (Level 52) badge! Earned the Wailing For Wales (Level 3) badge! Alex R. is drinking a NEIPA by Tiny Rebel Brewing Co at The Craft Beer Co.
Earned the Better Together (Level 11) badge! Earned the I Believe in IPA! (Level 32) badge! Alex R. is drinking an Orca by Wander Beyond Brewing at The Craft Beer Co.
Ellis M. is drinking a Stay Puft Imperial Salted Caramel by Tiny Rebel Brewing Co at The Craft Beer Co.
Earned the 2X (Level 9) badge! Earned the Wailing For Wales (Level 2) badge! Ellis M. is drinking a Pale Ale Finchcocks #7 by The Kernel Brewery at The Craft Beer Co.
Earned the New Brew Thursday (Level 29) badge! Earned the Middle of the Road (Level 72) badge!  Mathieu B. is drinking an Into the Haze by DEYA Brewing Company at The Craft Beer Co.
Earned the Draft City (Level 23) badge! Earned the God Save the Queen (Level 35) badge! Mathieu B. is drinking an India Pale Ale Citra Simcoe El Dorado by The Kernel Brewery at The Craft Beer Co.